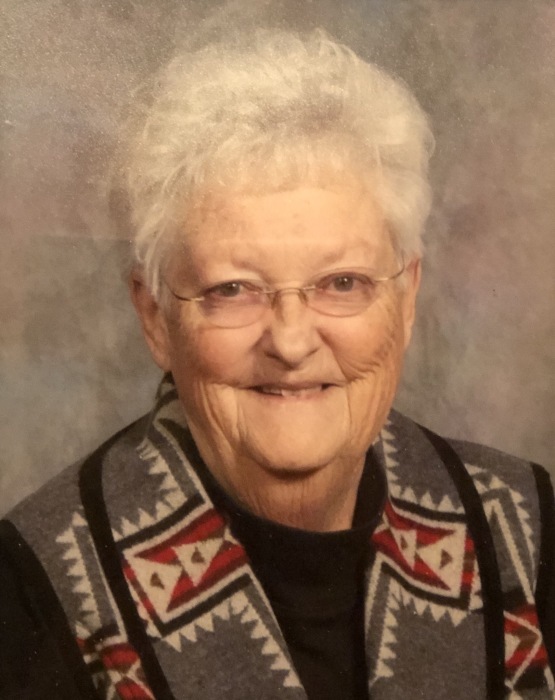 Hazel Elaine “Heyde” Babst , 88, passed away at her home in Goodland, Kansas on Thanksgiving Day, November 22, 2018. Hazel Elaine was born on September 6, 1930 in Hays, Kansas, to Charles H. and Hazel Ellen Nolind Ward. She attended school in Winona and graduated from Winona High School in 1948. On September 26, 1948, she married Richard Ray Babst of Winona and they raised two children together, Jack Richard and Nancy Ellen. Richard died in 1990. She later married Wilbur Tiede of Goodland on November 1, 1999. Wilbur died in 2012. Hazel Elaine loved her family dearly and spent many years caring for her parents, children, nieces, nephews, and grandchildren. In 1974, after earning her education degree, she began teaching Kindergarten in Winona where she continued her love of nurturing young children until 1996 when she retired. She was preceded in death by her parents, husbands, brother Charles H. “Bud” Ward, granddaughter Laramie Elaine Farris, brother-in-law James Taylor and sister-in-law Patsy Kahle. Hazel Elaine is survived by her son, Jack (Cheryl Detamore) of Winona; daughter, Nancy (Joseph) Partida of Goodland; sister, Charlene Taylor of Winona; grandchildren J.R. (Jamie) Babst of Colby; Jody (Darren) Crouch of Leoti; Matt (Karah) Babst of Chappell, Nebraska; and Daniel Bagnell of Galata, Montana; great grandchildren Emma, Lily and Kaleb Babst of Colby; Jadee Ray Crouch of Leoti; and Colton, Jadyn and Jordyn of Chappell, NE. She is also survived by sister-in-law, Naomi Ward of Colby; brother-in-law, Clarence Kahle of Winona; four nieces, three nephews, and a host of former students and friends who will all miss her presence in their lives. Heyde Tiede Memorial Fund to be designated at a later date.